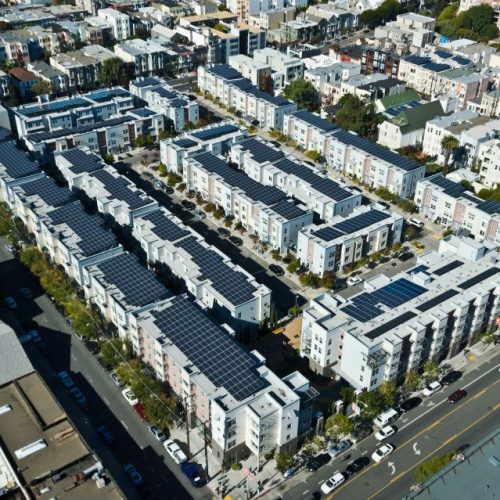 The Clean Coalition is leading the Valencia Gardens Energy Storage Project to pair innovative energy storage with the existing solar energy system at this site, one of the largest solar installations in San Francisco. Valencia Gardens is a 300,000-square-foot housing development consisting of 218 affordable family units and 42 senior apartments. 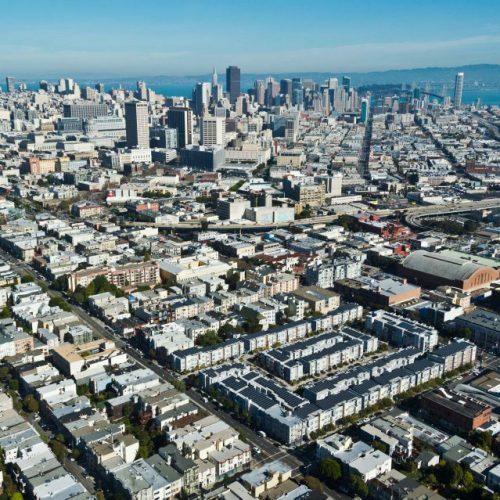 The Valencia Gardens Energy Storage Project is an important example of using clean local energy to enhance grid stability in a dense urban environment. 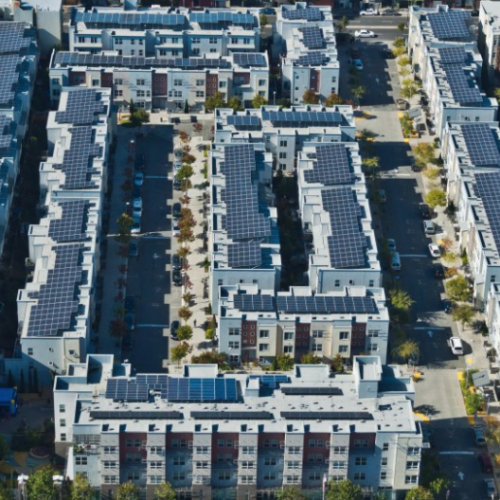 The project will add 500 kilowatts (kW) of energy storage power to the roughly 800 kW of rooftop solar that is already interconnected to the local distribution grid. The resulting solar+storage system will include cutting-edge technology to offer grid balancing and set the stage for indefinite renewables-driven backup power for critical facilities in the case of a grid outage. The system will be capable of demonstrating a resilient solution for the community’s emergency energy needs — from clean local sources. Enhance community resilience by setting the stage for emergency renewable backup power in the event of a natural disaster or widespread grid outage. Increase access to clean energy by creating more capacity locally on the distribution grid so that neighbors can go solar. Build on prior successes by leveraging an existing showcase solar deployment. Demonstrate the viability of local energy storage for ratepayers, developers, and the utility. Protect open space by deploying in a dense urban community on built environments. 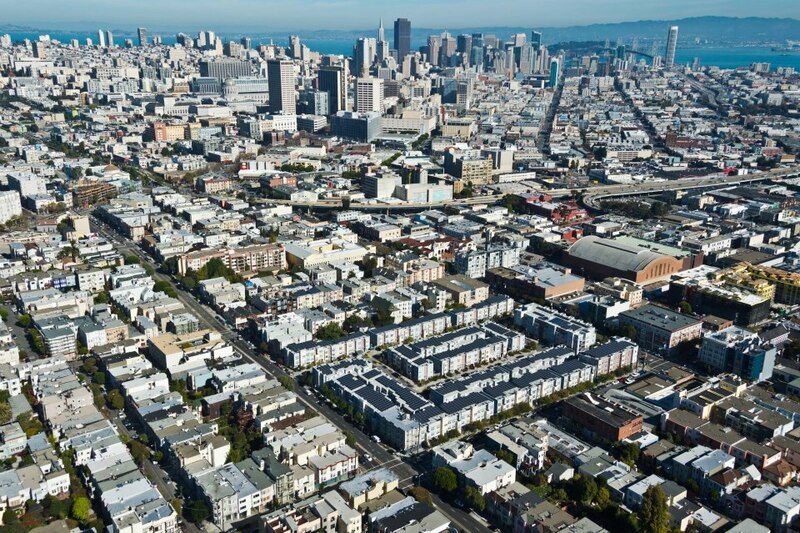 Project partners include Mission Housing, Pacific Gas & Electric (PG&E), the California Independent System Operator (CAISO), the City and County of San Francisco, and Pathion.